Wounded Warrior Project® (WWP) is fortunate to have supporters who show their love for wounded veterans with various creative, heartfelt tributes. Songs, amazing artwork, clothing, haircuts, tattoos, and even pet pride are just a few. Supporter Jack Efta quite literally used his bare hands. "I have the utmost respect for those willing to offer their lives and life for us, their country, their families and themselves," he said. 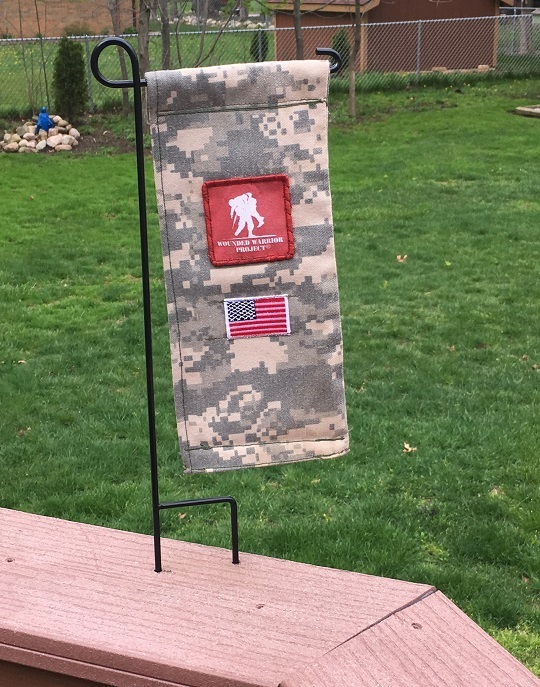 Jack crafted this wind flag in support of the WWP mission to honor and empower Wounded Warriors.